But can the fuel cell firm survive as subsidies fade? Earlier this week Adobe announced that it had added another 400 kilowatts of Bloom Energy fuel cells to its current fleet of Bloom Boxes. I spoke with Mike Bangs, Adobe's Director of Global Facilities, about the installation. The two 200-kilowatt units installed at the company's San Francisco site are Bloom's next-generation design and put out twice the power of the previous 100-kilowatt model -- in the same footprint. Those two units provide about a third of the power for Adobe's San Francisco operation. Although Bloom does have a Power Purchase Agreement (PPA) option, Adobe owns these boxes and qualified for the federal 1603 Investment Tax Credit, as well as the Self Generation Incentive Program (SGIP). Between those two generous programs, Adobe estimates that power costs it about $.085 per kilowatt-hour after the incentives. The company has also locked in its price for natural gas for a 10-year term. For Adobe, this is "another step toward becoming Net Zero" with the potential for its buildings to be independent from the energy grid supply and have zero carbon emissions annually. Adobe has already installed 12 100-kilowatt Bloom Boxes at its San Jose headquarters in 2010, providing 30 percent of that site's power. In both locations, the Bloom boxes are installed on open floors of parking structures, a new installation style for Bloom compared to previous installations, which had been at ground-level. The fuel cells run 24/7 in the million-square-foot San Jose facility, which has a total load ranging from 3 to 5 megawatts. The units are not grid-tied. "We feel like we're helping mature this technology," according to Bangs. Bloom has raised more than $600 million in venture capital over the last decade from Kleiner Perkins, NEA, Advanced Equities, et al. 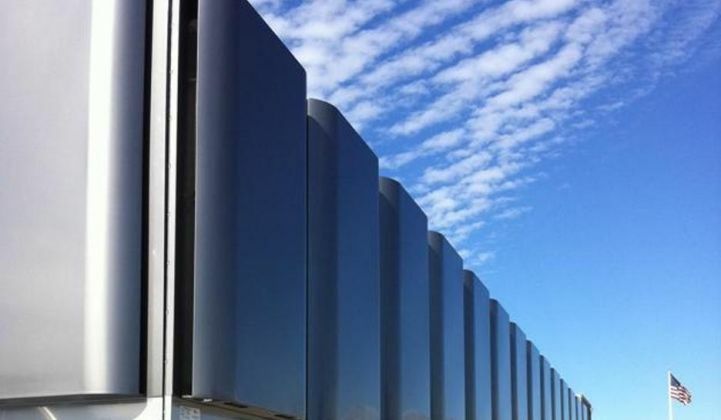 The solid oxide fuel cell (SOFC) firm recently closed on its biggest project so far when Delaware regulators approved a plan to bill customers of utility Delmarva Power to build a factory for Bloom’s natural gas-powered fuel cells, along with installing 30 megawatts of its Bloom Boxes in the state. Jeff St. John recently posed the question, can Bloom’s fuel cells compete with the natural gas-fired power plants that now serve the grid? That’s a complex question, involving differences in cost per watt (gas turbines are still cheaper), the cleanliness of emissions (Bloom’s fuel cells are arguably cleaner, though they still emit CO2), the potential to capture waste heat for extra benefit (Bloom’s fuel cells don’t, while other gas-fired systems do), and the extra-complex question of whether or not Bloom’s natural gas-fueled devices are truly a “green” energy source. 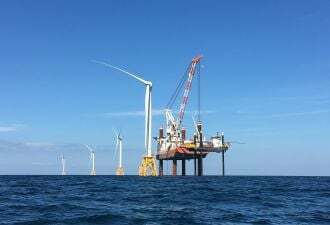 The 30-megawatt project, which could grow to as much as 50 megawatts, is an order of magnitude larger than Bloom’s biggest projects so far with California customers such as Google, eBay, Adobe and AT&T, as well as Bloom’s pilot projects with California utilities Pacific Gas & Electric and Southern California Edison and Tennessee’s EPB. California regulators recently proposed changes to the state’s Self-Generation Incentive Program (SGIP) that could put an end to such out-of-state biogas credits, although it won’t apply to projects already underway. Given that the old rules gave biogas projects almost twice as much subsidy money as non-biogas sources, that’s a big deal -- Bloom received $218.5 million in SGIP subsidies in 2010, nearly two-thirds of the total disbursed by the program that year. Other stationary fuel cell makers like ClearEdge Power and FuelCell Energy make use of their combined heat and power characteristics, while Bloom does not. So far, Bloom has been able to ship its product into subsidy-rich regions. The big question is if Bloom can survive when those subsidies recede.